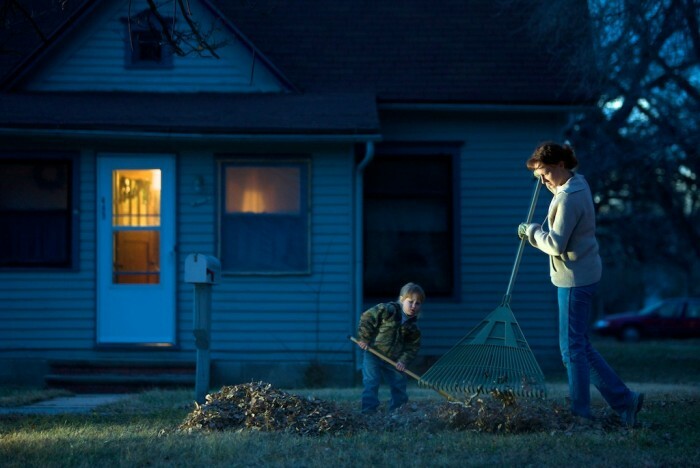 Somewhere in the Middle of America – Raking Leaves. Michelle Rea Clark and her daughter Kayce Rea Clark rake leaves on a warm December day as evening begins to fall. After serving in Iraq, Clark returned to Red Cloud to be near family.